BMP Medical announced that it has opened its newest medical plastics manufacturing facility in Sterling, Mass. 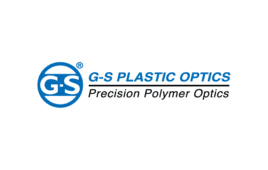 The new 80,000 sq ft. facility will house injection molding, injection blow molding, two-shot, insert molding and other packaging and assembly manufacturing services. BMP Medical says that it will hold an opening ceremony at the facility in early 2019 where executives, employees and customers will be able to attend. Potential medical and diagnostic OEM manufacturing partners are also able to schedule private tours of the new facility. “The Sterling-based manufacturing facility reflects BMP Medical’s commitment to better serving our customers with increased services that further enhance our manufacturing capabilities,” said Ed Kangas, VP of sales and marketing. Founded in 1978, BMP Medical has an employee count in the 50 to 200 range, according to its LinkedIn profile.